The 14th Malaysian General Election is a historic occasion in Malaysia’s political history. Not only has former Prime Minister Dr Mahathir Mohamad staged a stunning comeback as the new Malaysian Premier, his Pakatan Harapan (PH) coalition has successfully unseated the incumbent Barisan Nasional (BN) Government which has ruled Malaysia for an unbroken 60 years since the country’s independence. The outcome of GE14 has overturned prevailing and widespread predictions that the opposition’s chances are weak because of its fragility, whereas the BN will prevail in spite of its political woes. This seminar seeks to analyze the results and implications of the dramatic turn of events in GE14. Specifically, this session will assess the factors which have shaped the outcome of the election, and address the impact of GE14 on the future of Malaysia’s domestic politics. Thus, there will be discussions on topics such as voting patterns across different parts of Malaysia, voters’ choices and sentiments, the make-up of the new PH government, the future of the Barsian Nasional, the Malaysian Islamic Party (PAS), and impact of GE14 on the ethnic, religious, and social issues in Malaysia, etc. 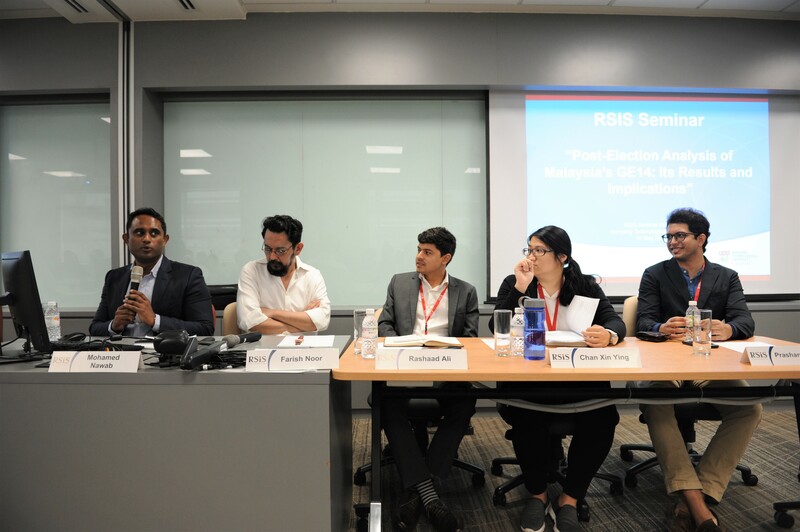 The seminar will feature a panel of RSIS researchers who will assess different aspects of the election. Dr Mohamed Nawab, Coordinator of the Malaysia Programme, will address the topic of Malay votes and Northern States. Dr Farish Noor, Coordinator of the PhD Programme, will discuss the issue of Sabah and China’s investments in Malaysia. Research Analysts Mr Rashaad Ali will analyze the Southern States and Ms Chan Xinying will assess Penang and Chinese votes. Mr Prashant Waikar will examine Kuala Lumpur and Selangor. 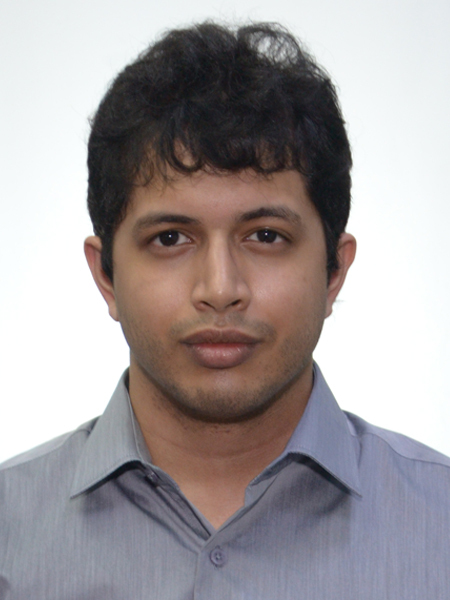 Mohamed Nawab Osman is the Coordinator of the Malaysia Program at RSIS. His research interests include the domestic and international politics of Southeast and South Asian countries, transnational Islamic political movements and counter-radicalization. Nawab has written various papers, books and journal articles relating to his research interests. Some of these articles have been featured in prominent journals such as Southeast Asia Research, South Asia, Terrorism and Political Violence, Indonesia and the Malay World and Contemporary Southeast Asia. 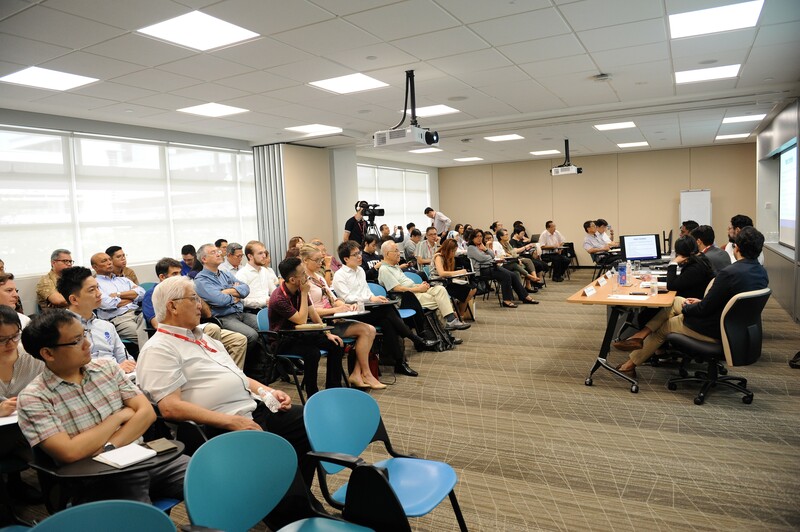 Several of his opinion pieces have been featured in leading dailies such as The Straits Times, India Express, The Nation (Thailand), Jakarta Post, Manila Times and Today’s Zaman (Turkey). Nawab is a frequent commentator on political Islam, terrorism and Southeast Asian politics on CNN, BBC, Al-Jazeera and Channel News Asia. 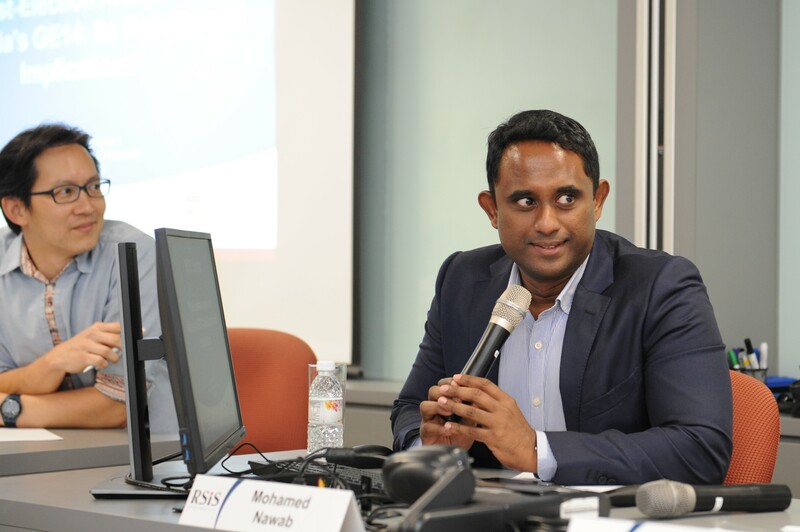 Nawab is a social activist and serves as the President of Critical Xchange, an organization that seeks provide a mutually beneficial platform for Muslim citizens and incoming expats to exchange news, views and skills with the local Singaporean community. He also sits in the board of Association of Muslim Professionals. In 2014, he was nominated to attend the inaugural Young Southeast Asian Leader’s Initiative, a program initiated by President Barack Obama. 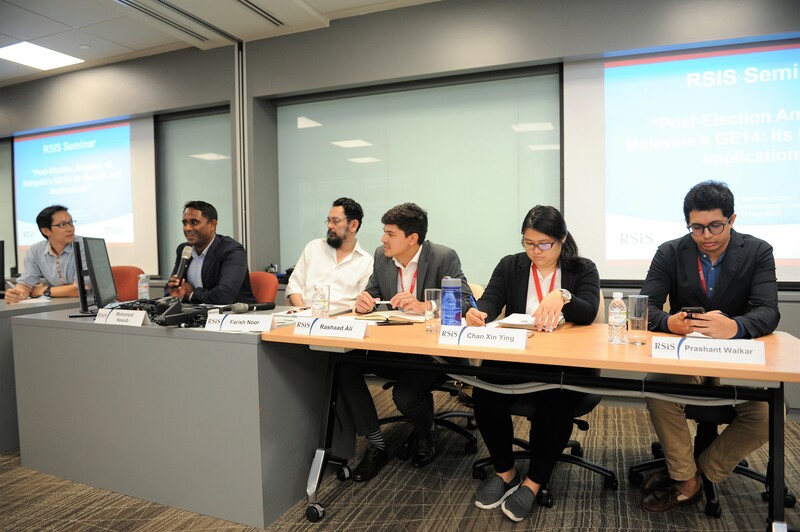 He also attended the inaugural YSEALI workshop in Singapore as a mentor. Nawab has attended a number of prestigious fellowship program organized by the governments of the United States, France and China. 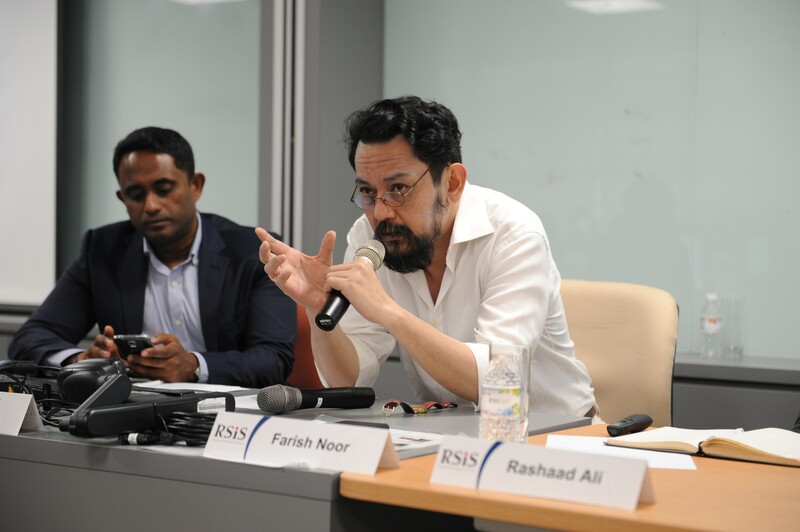 Farish A. Noor is presently Associate Professor (with tenure) at the S. Rajaratnam School of International Studies, Nanyang Technological University; and coordinator of the RSIS doctoral program. 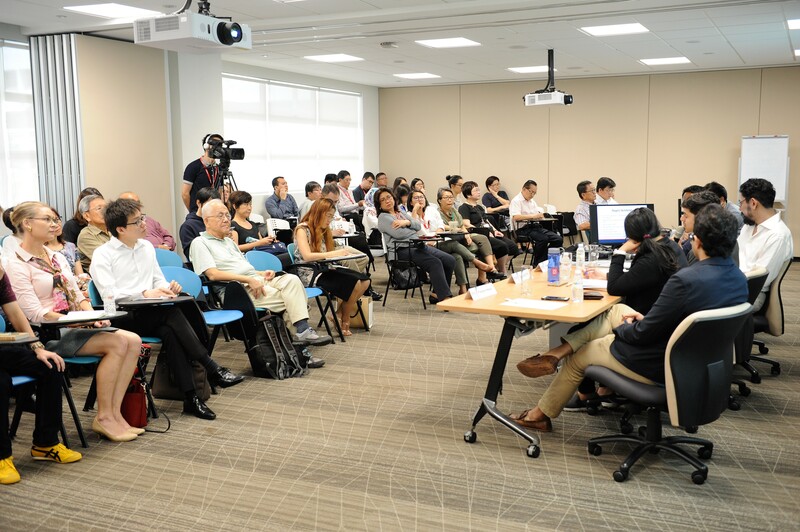 His area of research covers the political history of Southeast Asia and religio-political movements in the region. He is the author of ‘America’s Encounters With Southeast Asia 1800-1900: Before The Pivot’ (Amsterdam University Press, 2018 tbp); ‘The Discursive Construction of Southeast Asia in 19th Century Colonial-Capitalist Discourse’ (Amsterdam University Press, 2016); ‘The Tablighi Jama’at in Southeast Asia’ (Amsterdam University Press, 2014); ‘The Madrasa in Asia: Political Activism and Transnational Linkages’ (With Martin van Bruinessen and Yoginder Sikand (Eds. ), (Amsterdam University Press, 2008); ‘Islam Embedded: The Historical Development of the Pan-Malaysian Islamic Party PAS: 1951-2003’, (Malaysian Sociological Research Institute (MSRI), Kuala Lumpur, 2004). He is also a member of the United Nations Panel of Experts on Religion and Politics. 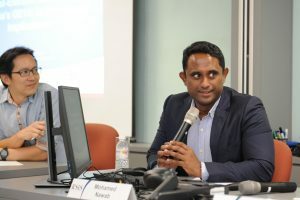 Rashaad Ali is a Research Analyst with the Malaysia Programme at the S. Rajaratnam School of International Studies (RSIS) of Nanyang Technological University (NTU). 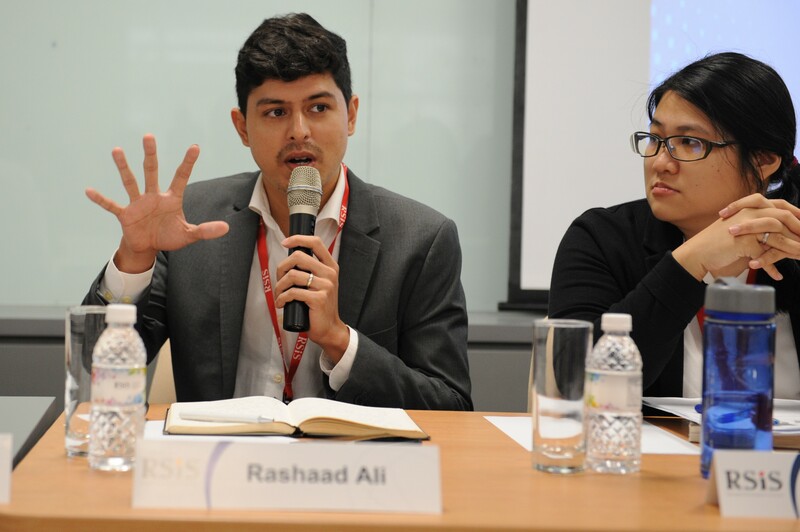 Before joining RSIS, Rashaad was the head editor at an e-commerce company where he managed the production of editorial content for the website. His research interests include ethnic politics, institutionalism and Malaysian public policy. Rashaad possesses a degree in Writing and International Studies from Monash University, and completed his MA in International Relations at the University of Nottingham. 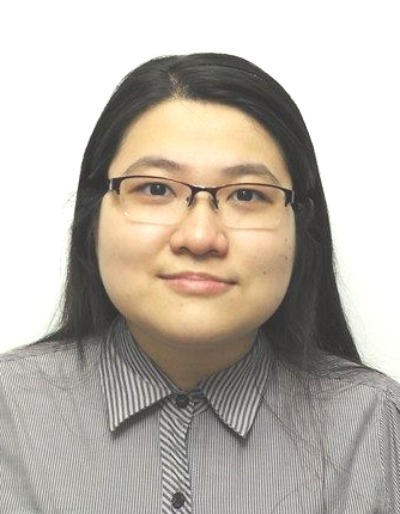 Chan Xin Ying is a Research Analyst with the Malaysia Programme at the S. Rajaratnam School of International Studies (RSIS) of Nanyang Technological University (NTU). 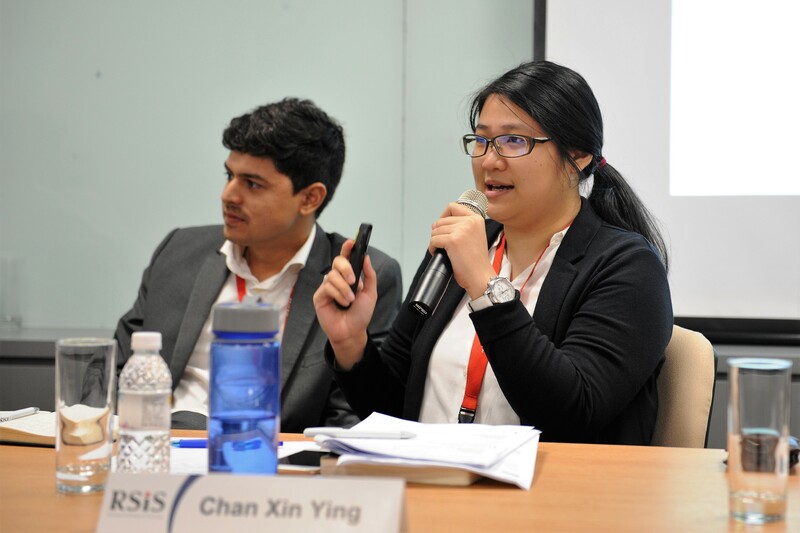 Before joining RSIS, Xin Ying was a Senior Programme Assistant in the Health Unit for United Nations High Commissioner for Refugees (UNHCR) in Kuala Lumpur, where she conducts ethnic verification interviews and manages health aids for the refugees in Malaysia. Her research interests include China and Malaysia relations; Overseas Chinese in Southeast Asia and the rise of China; and lastly refugee issues in Malaysia (focusing on Rohingya and Ughyur refugees). Xin Ying possesses a degree in International Affair Management in Universiti Utara Malaysia and completed her Msc in Asian Studies at RSIS. 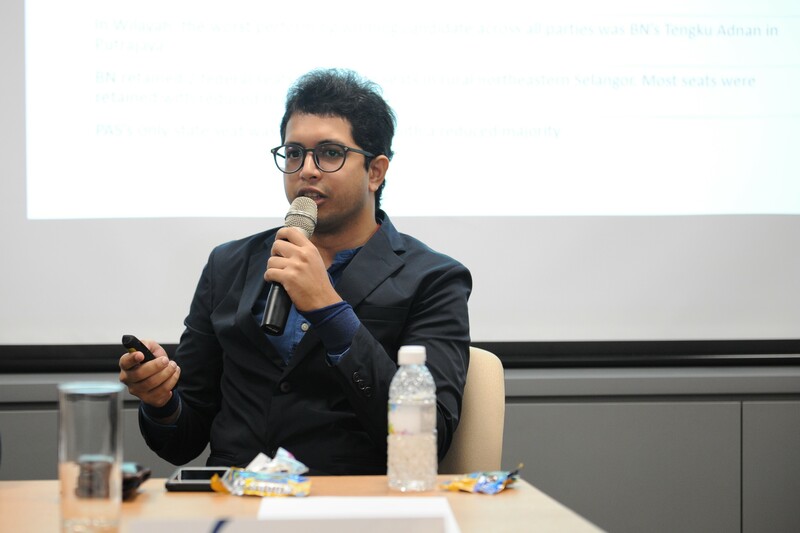 Prashant Waikar is a Research Analyst with the Malaysia Programme at the S. Rajaratnam School of International Studies (RSIS) of Nanyang Technological University (NTU). Prashant possesses an M.Sc. in International Relations from RSIS, and a B.A. (Hons) in Sociology from NTU. 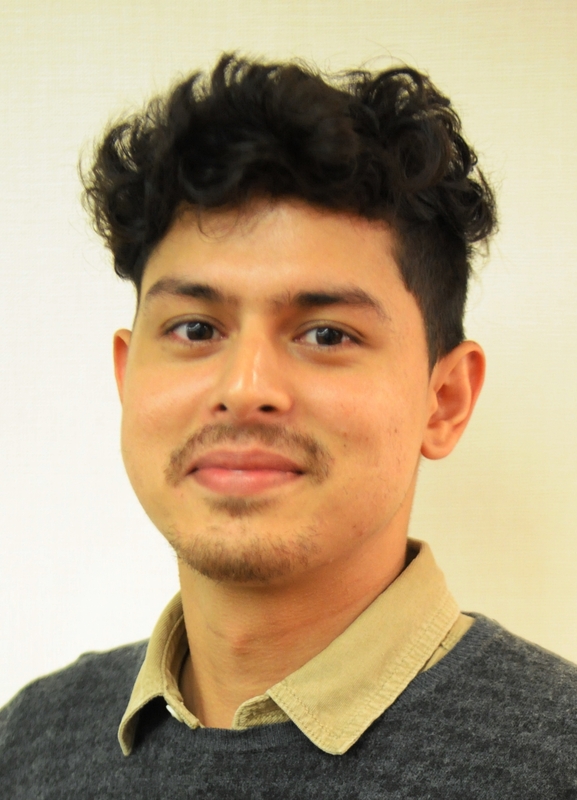 His research interests include the identity politics of race, ethnicity, and religion, Islamophobia, and the construction of ideas, narratives, and discourse.